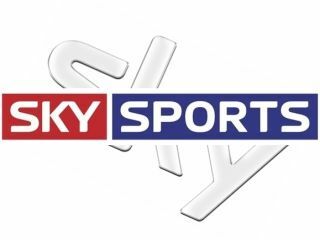 BSkyB has announced that it is taking Sky Sports News off-air for those who watch it on Freeview, replacing it with a time-shifted version of Sky 3. Sky Sports News is one of the most watched channels on Freeview, having been on the platform for eight years launching with Sky News and Sky Travel. Sky News will be the only survivor of this line-up once Sky Sports News stops broadcasting free to air, as Sky Travel was replaced with Sky 3 in 2005. To fill the space, Ofcom has announced that Sky will be adding Sky 3+1 to the roster. Surprisingly Ofcom believes the change "would not unacceptably diminish the capacity of the services broadcast to appeal to a variety of tastes and interests". We're sure that sports fans up and down the country would have something to say about that. According to the Guardian, BSkyB is changing Sky Sports News into a subscription channel, so that it can give it a HD makeover. This is certainly in line with Sky's HD plans – earlier this year, Sky News was the first news channel in the UK to go hi-def. The changes to Sky Sports News come after Sky was forced to reduce the wholesale price of its channels. This led to Virgin Media announcing recently that it has reduced the price of its Sky package in a bid to entice consumers to cable. In turn, Sky has revealed that it is buying the channels that Virgin owns, including Bravo. There's no date as to when the channel will go behind a pay wall, other than 'later this year'.